The Smiths came out when I was 15-years-old. I grew up with the band and I was always playing the album on my Walkman. My relationship with that album goes way back and it kind of represents my youthful self. I was even in a cover band for The Smiths when I was a teenager too! I was into them that much! 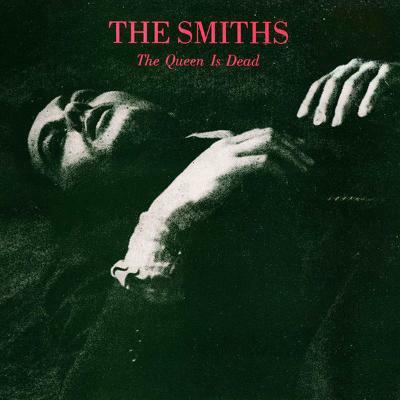 Now my son is just about the same age as I was then and he is really into The Smiths, too; now as father and son, we sing to every song on The Queen Is Dead together in the car. We also went to see Morrissey just a few months back, at the end of last year: we got to shake Morrissey's hand which meant a lot to me. Musically, the song 'How Soon Is Now' on this album features a strong tremolo sound on the guitar. That really kind of re-inspired me again recently [on the new album] and I realised how much I have always been drawn to that particular sound. I decided to put that on my new album in a very similar way. I'm a huge fan of the way Johnny Marr plays the guitar – he's always been a big influence and inspiration to me. All in all, it's a really powerful, influential album for me.